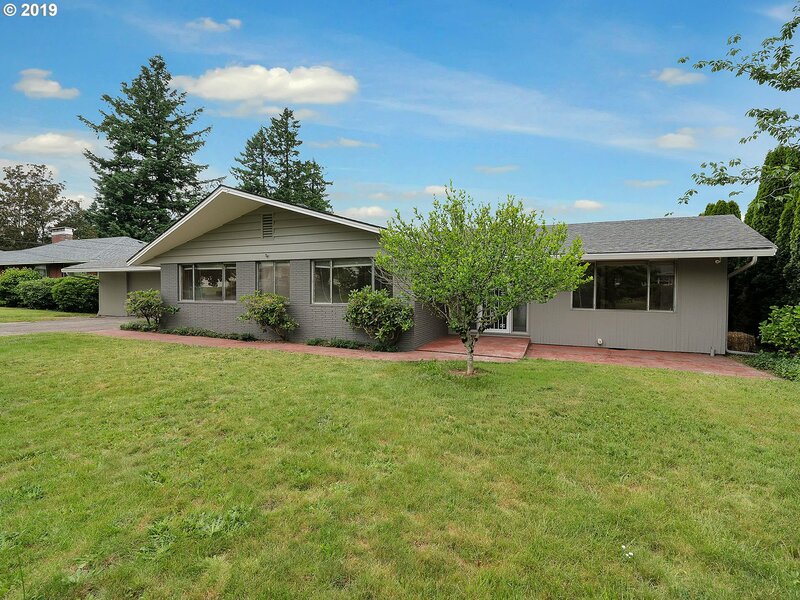 All PARKROSE HEIGHTS homes currently listed for sale in Portland as of 04/23/2019 are shown below. You can change the search criteria at any time by pressing the 'Change Search' button below. "Quality custom untouched mid-century. One level living at its finest. 3 fireplaces, views of Mt St Helens & the Columbia River. Remodeled kitchen with eating area. Restored baths with original tile. Over-sized slider opens to fantastic patio with outdoor fireplace." "QUIET SETTING! 2006 contemporary, open floor plan connects living, dining, kitchen & entry. Natural light floods living areas on 3 sides.Central AC, gas fireplace. Master suite with walk-in closet, windows on two sides & spacious master bath. 2 other well-sized bedrooms with ample closet space. Convenient washer/dryer closet near bedrooms. Large, private lot perfect for outdoor activities. Room to add a cement pad for RV/boat, etc. [Home Energy Score = 6. HES Report at https://rpt.greenbuildingr"
"Own this beautiful 3 bedroom farmhouse on a large corner 1/3 acre lot featuring 4 car tandem garage w/ separate 100 amp electrical panel, newer electrical panel in main house, newer roof, newer hot water heater, refinished hardwoods in master bedroom and living room, gated back yard and RV parking. Bonus room in basement could be a 4th bedroom if egress window is added. Welcome home! [Home Energy Score = 2. HES Report at https://rpt.greenbuildingregistry.com/hes/OR10009469]"
"I am bigger than I look!!! Entertainers delight! Newly renovated home with an amazing open floor plan and large master bedroom.. This home has a new roof, new electrical panel, new floors, new Pex plumbing & water heater, new kitchen equipped with stainless steel appliances butcher block island counter. Move in ready! Formal living room and Huge Family room both can be seen from the new kitchen . 1 YEAR HOME WARRANTY INCLUDED!!! [Home Energy Score = 3. HES Report at https://rpt.greenbuildingregi"